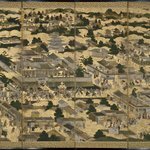 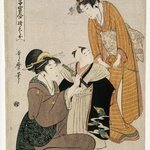 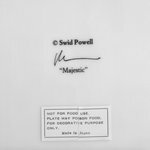 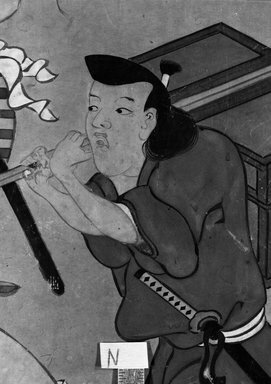 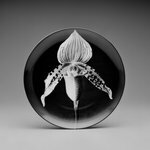 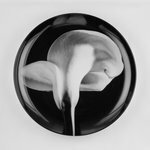 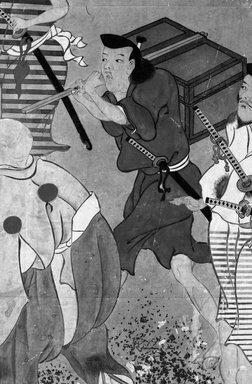 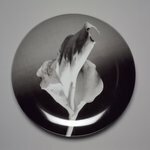 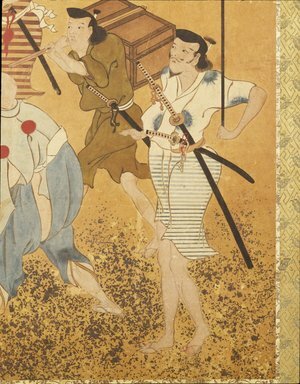 In Japan the seventeenth century witnessed an era of political stability that was characterized by an increased prominence of urban culture and a dramatic rise in the economic and social status of formerly middle-class groups such as merchants, artisans, and the lesser ranks of the military. 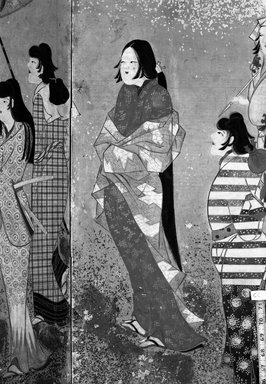 These groups used their new prosperity to support new genres of art that represented urban life, particularly the fashionable activities of the entertainment districts. 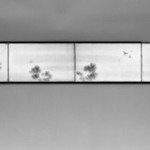 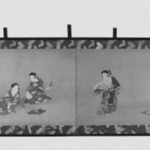 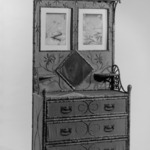 The Cherry Blossom Viewing screen can be considered a very early prototype for ukiyo-e painting (literally, "pictures of the floating world"). 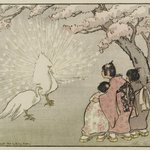 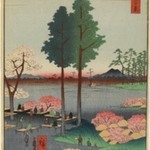 Better known from woodblock prints, ukiyo-e portrays popular actors, beautiful women, famous sites, and such popular diversions as the springtime tradition of cherry blossom viewing. 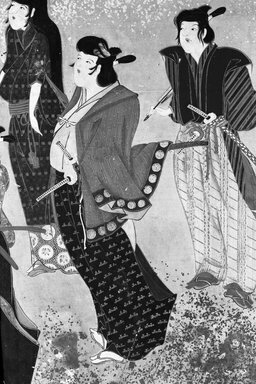 The highly fashionable crowd making its way across the screen is actually professional pleasure women (yujo) and their clients, who are low-ranking samurai. 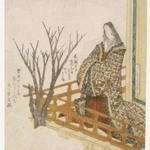 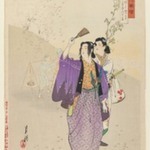 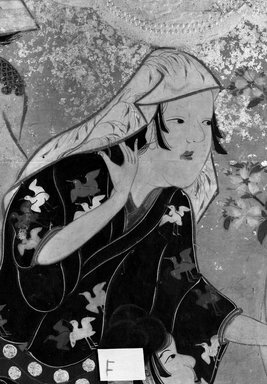 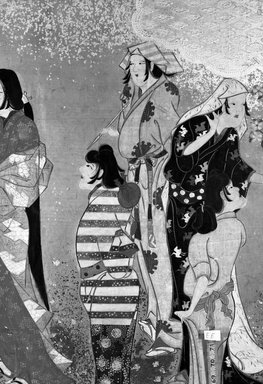 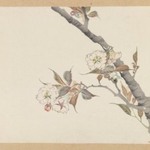 While the scene carries various levels of meaning, romance is implied by the action of a woman extending a branch of cherry blossoms with a poem strip (tanzaku) to the men following behind. 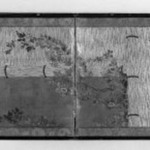 CATALOGUE DESCRIPTION Four-fold screen. 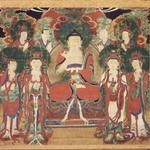 A procession of large figures with very little background. 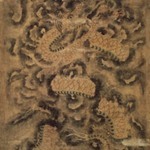 The paper is a golden brown with gold and silver flecks. 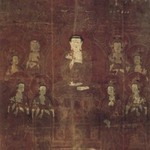 Gold representing clouds is used at the top of the painting. 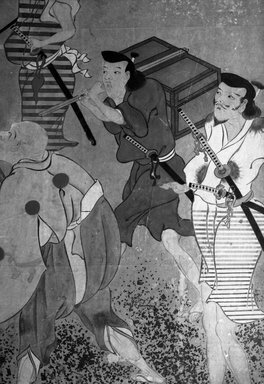 There are fifteen figures in all, the first carrying a fan and wearing swords, accompanied by another who bears an umbrella. 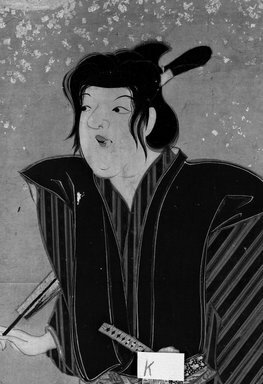 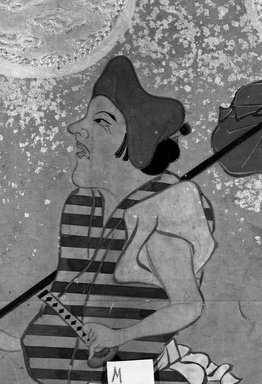 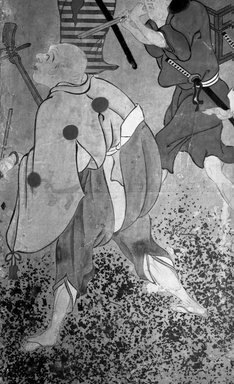 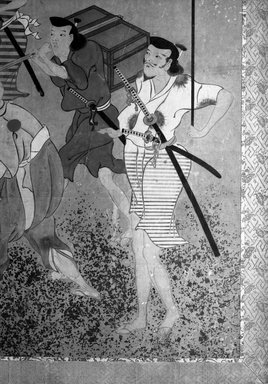 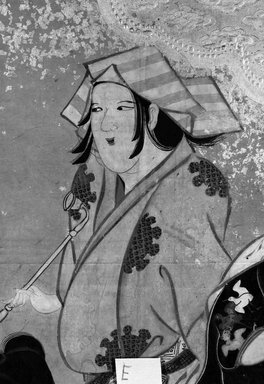 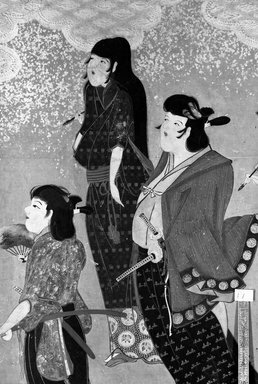 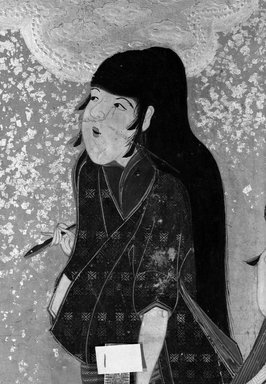 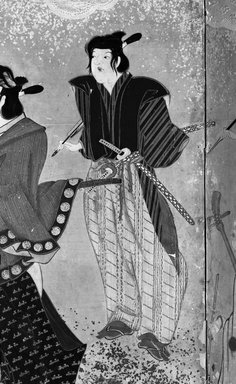 A person with a pipe, one holding a branch of flowers and others with swords and fans follow. 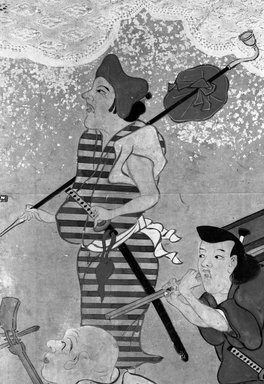 In the rear are four servants, one carrying a musical instrument, another a trunk and the others swords etc. 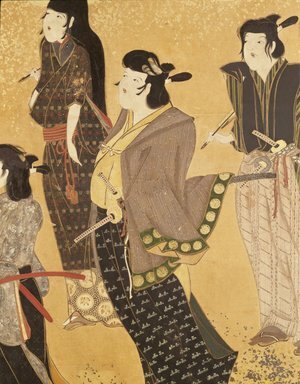 Many colors are used in the costumes which show detailed designs. 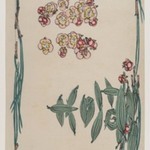 Red, blue, white, gray, brown, black, gold, green appear in various tones, the whole presenting a varied and vivid effect. 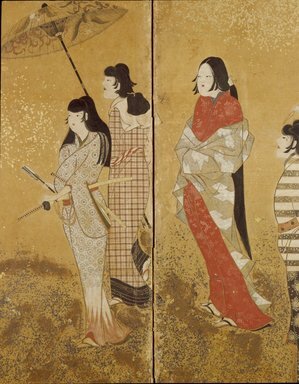 There are narrow borders of white silk with a design in silver threads. 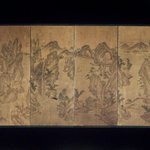 The wide borders are of blue silk brocade with gold threads in an all over geometric design with conventionalized floral and foliate patterns. 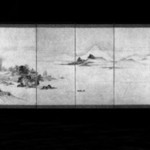 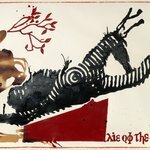 There are two well-known paintings which relate to the Brooklyn screen. 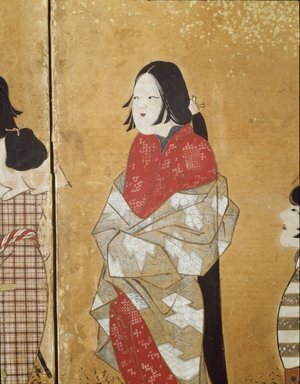 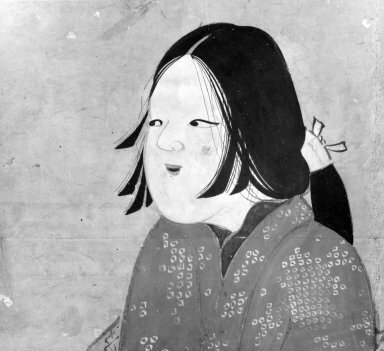 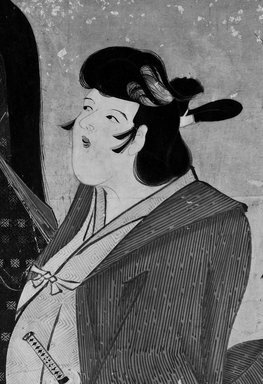 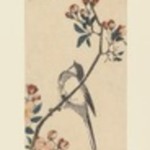 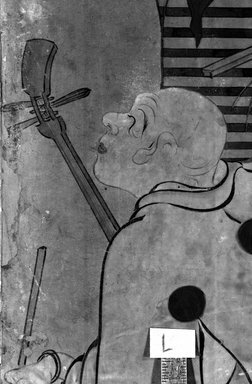 The most famous and often reproduced example is the kakemono, formerly from a screen or sliding door, now in the Atami Museum and published by Adachi, "Yuna zu kai," Kokka; No. 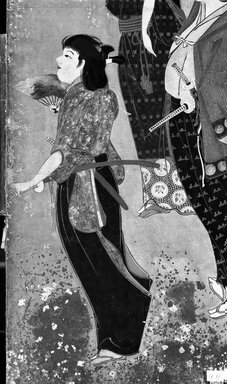 525, p218 (and also in Kondo, Japanese Genre Painting, pl. 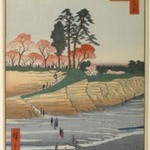 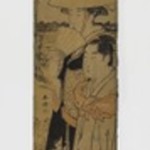 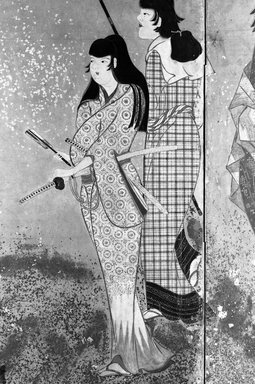 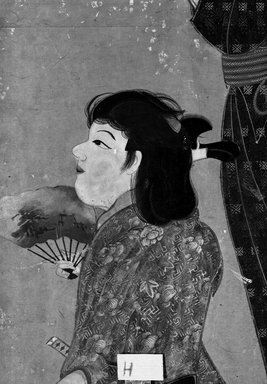 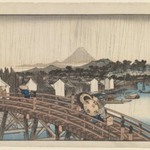 8, Narazaki and Kikuchi, Shoki Ukiyo-e pl. 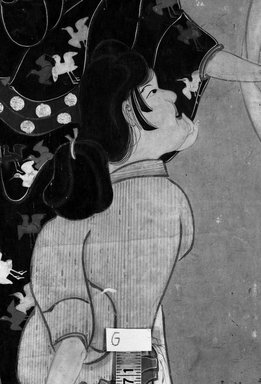 56, and elsewhere). 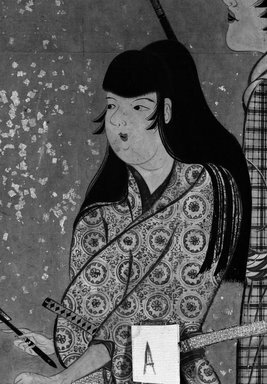 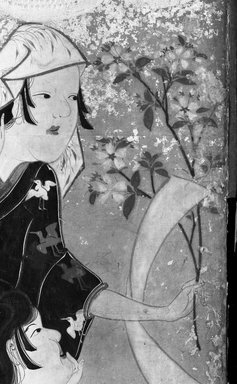 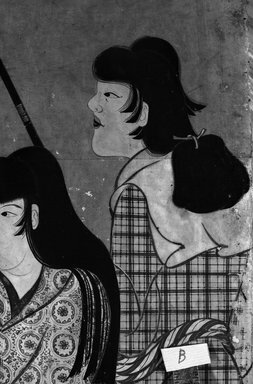 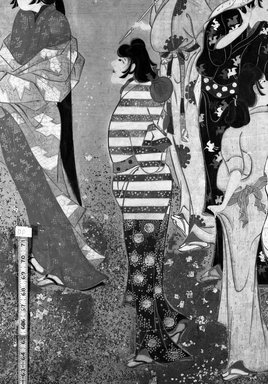 The Atami painting is very much like our screen, differing only in details, and the groups of yuna are also looking backward. 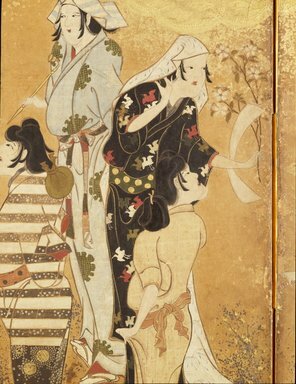 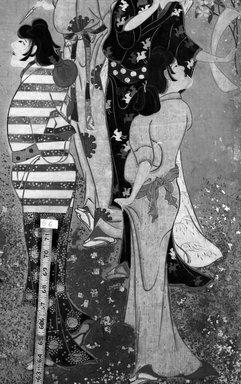 The second painting which relates to ours is the four panel screen called the Pleasures of Women published in Kondo, op. 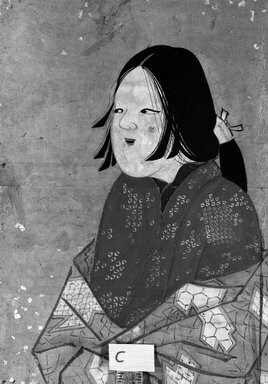 cit., pls. 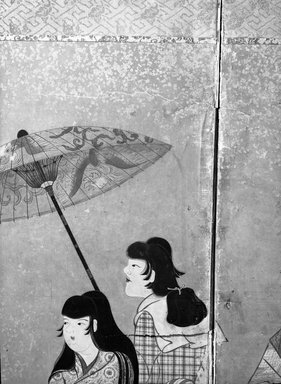 4 and 89. 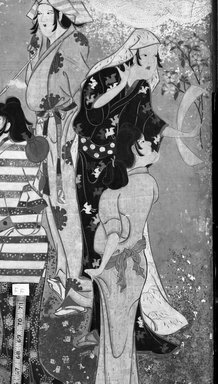 The subject here is quite different, centered about a picnic scene with sixteen yuna and one young male, but the handling of figures as well as the treatment of the cloud forms is identical with our screen, suggesting that it is the mate to the Brooklyn piece. 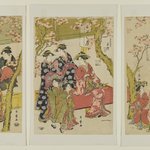 In addition, note should be made of the pair of screens devoted to bath-girls in the Freer Gallery collection (see Stern, Ukiyo-e Painting: Selected Problems (1960), pls. 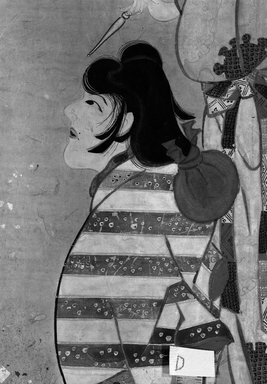 14 and 15). 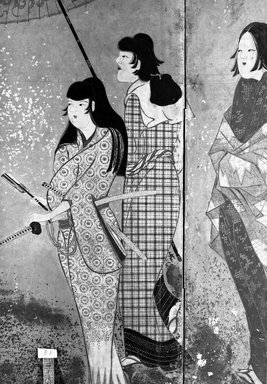 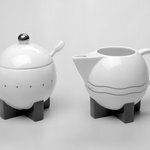 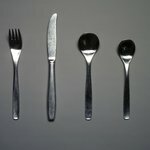 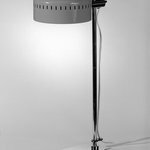 These are in a very similar style.